Eastbourne v Birmingham in the Championship Shield at Arlington Stadium, 7.30pm. Note we are back to our usual start time. Please arrive early to avoid queues as a large crowd is anticipated to see the Rebels on their first ever visit to Arlington, including the speedway legend that is Chris ‘Bomber’ Harris. Please note: All turnstiles will close ten minutes after the start of Heat 1 – with no admittance after that time unless by prior arrangement. 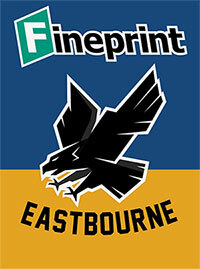 Following a triumphant homecoming last weekend, Eastbourne ‘Fineprint’ Eagles return to Arlington Stadium for more Championship Shield action tonight (7.30pm start). Once again the action is sure to be fast and furious as the Sussex side look to build on a wholly encouraging start to their campaign. 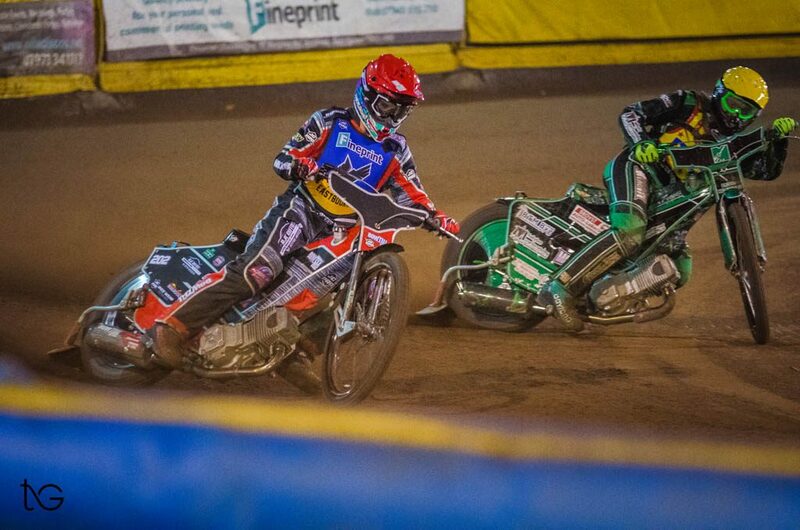 The Somerset Rebels are next in line to take on the new-look Eagles in what is sure to prove something of a red letter day in the club’s upward trajectory. Heading up the Oak Tree Arena outfit’s offensive is none other than three time British Champion and former Cardiff Grand Prix winner, Chris ‘Bomber’ Harris. 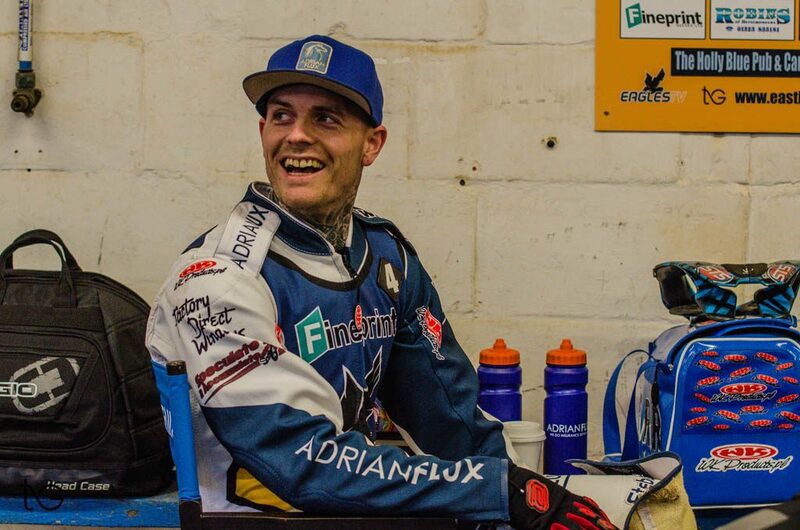 Harris was once a regular visitor to the Sussex venue, most often with the Coventry Bees but with the utmost respect to all who have graced the circuit in recent times, a rider of Harris’s standing and pedigree has rarely been glimpsed on track at Arlington for close on five years. Still also a top line performer in the sport’s domestic senior section. Harris will surely prove the man to beat as the Rebels hit town. 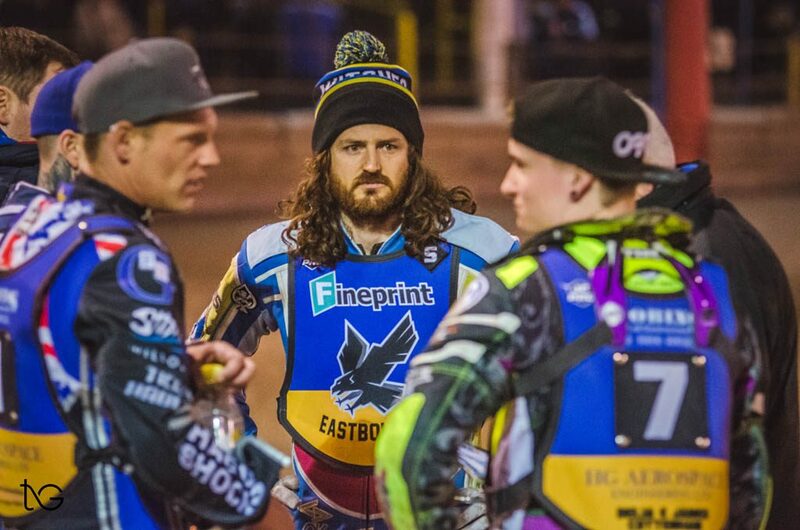 He will certainly test the home dominance of Eagles heatleader trio of Richard Lawson, Lewi Kerr and skipper Edward Kennett who collectively dropped just a single point to the opposition against Birmingham. Whilst Bomber’s presence will surely keep all the Eagles on their toes, he is not the only visitor who is likely to test their mettle. Rory Schlein is another top-line operator and together with Harris they unquestionably form a potent twin spearhead. 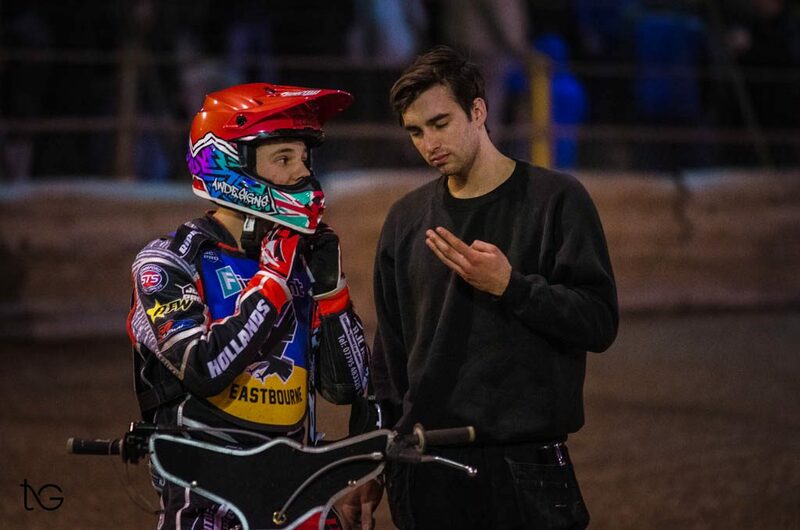 Justin Sedgmen (guesting in place of Nico Covatti, absent contesting his native Italian National Championship) and Todd Kurtz are also primed to make life difficult for the Sussex side. Scanning further down the order shows a tail end brimming with youth and promise. The National League Eagles will know both Henry Atkins (of Plymouth) and Anders Rowe (of local rivals Kent) from season 2018 and both having demonstrated qualities that prompted the Rebels hierarchy to give them their chance it will be interesting to see how each fare at the next level. German racer Valentin Grobauer completes the visitor’s line up and although little is known about this young man, who can say what credentials he might display as he comes to tapes alongside the Sussex battlers. An absorbing contest ensued as the Eagles went toe to toe, or more correctly wheel to wheel with the Brummies last Saturday. The visitors took time to warm to their surroundings allowing the hosts to build a lead but once they did they conspired to keep things close largely by securing the minor places. It was only the final few races that the home side drew away to win by a satisfying 14-point, 52-38 margin. The Eagles heatleaders had proved all but unbeatable on that occasion, however with the likes of Harris and Schlein in opposition, they know they have their work cut out if they are to enjoy similar returns this weekend. With Somerset already being spoken of as likely title contenders, Saturday’s match up will likely serve as some sort of litmus test as to how Sussex fortunes are likely to fare in the 2019 Championship campaign. Eagles: Alfie Bowtell, Tom Brennan, Edward Kennett, Lewis Kerr, Richard Lawson, Ben Morley, Georgie Wood. Rebels : Henry Atkins, Valentin Grobauer, Chris Harris, Todd Kurtz, Anders Rowe, Justin Sedgmen (Guest for Nicolas Covatti), Rory Schlein.